This year, the University of Notre Dame will expand its participation in Earth Hour by turning out the lights on the Golden Dome of the Main Building and the “Word of Life” mural on the Hesburgh Library for an entire weekend. 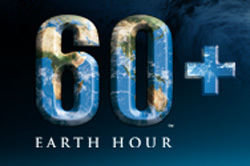 Earth Hour, which takes place on March 26 (Saturday) at 8:30 p.m., has become an international symbol of support for climate change action involving hundreds of millions of people in over 120 countries. Turning off the lights on the Dome and the library mural for three nights this weekend will reduce carbon dioxide emissions by more than 600 pounds. A permanent reduction in energy usage also will take effect this spring with the installation of high-efficiency LED fixtures on the mural. This retrofit is part of the multi-year Energy Conservation Measures program, a $10 million investment aimed at maximizing energy conservation on campus.